The Canadian born investor, Peter Cundill, plunged into the world of financial markets while he was still at McGill University, which he graduated from in 1960 with a degree in Commerce.Cundill earned the designation of Chartered Accountant and then Chartered Financial Analyst before moving from Montreal to Vancouver to become the President of AGF Investment management; he worked at the company for four years from 1972 till 1975. During that time he was also a partner in the company called the Vanan Financial Management Ltd. which in 1975 took over the All-Canadian Venture Fund. In 1977, Cundill established his very own Vancouver-based firm named Peter Cundill & Associates Ltd. and renamed the All-Canadian Venture Fund to Cundill Value, when the fund became the flagship of his newly established firm. Peter Cundill & Associates, now named Mackenzie Cundill Value Series A after a strategic partnership of PCA with Mackenzie Financial Corporation, best epitomizes the bottom-up value investment outlook of Peter Cundill. The Cundill Value Fund was launched in December 1974 and immediately lost money during 1975. However, after this dismal start, the star fund manager recovered quickly and reported few losing years after 1975. From 1974 through to 1988 the fund returned 22% per annum. Over its 35 year history to 2010, the Cundill Value Fund achieved a CAGR of 13.7%, which is especially impressive when you consider the fact that the market was still recovering from the financial crisis when this figure was calculated. Peter Cundill was awarded the Analysts’ Choice Career Achievement Award for the best mutual fund manager of all time in 2001. At the award ceremony which recognized his 35 plus years of contribution and expertise as a fund manager and value investor, he was referred to as the ‘Indiana Jones of the Canadian Money Managers’, a title which was acknowledged by Cundill with great pleasure. Cundill’s expertise even gained recognition from Warren Buffet, who claimed Peter Cundill had the traits of a good successor and possessed the kind of credentials required that would be suitable for Berkshire Hathaway’s next chief investment officer. Observing the multi-dimensional personality of Peter Cundill, it is evident that he enjoyed life to the fullest. By no means did he limit himself from challenges or new experiences. He had an innate child-like curiosity and explored various aspects of his interests. His love for travelling turned him to one of the best global investors, and his rapacious reading habit lead him to the writings of the great Benjamin Graham. 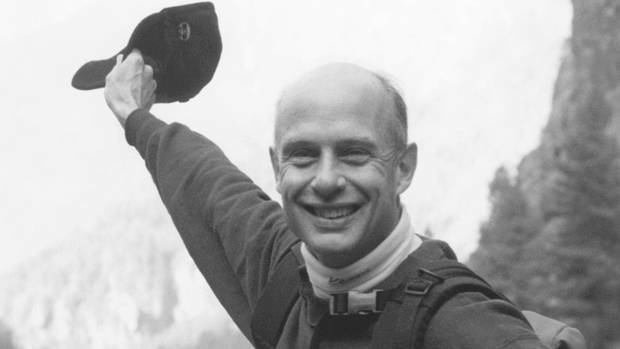 Cundill also enjoyed and challenged himself with various sports such as handball, rugby, skiing and hiking; being a dedicated marathon runner, at the age of over 40 he was capable of completing 22 marathon races including ‘Sub 3 hour’ (running the marathon under three hours). His contribution was not limited to the financial world, but to the world of academia and literacy. Being a philanthropist, in 2008, he founded the Cundill Prize at McGill University to recognize the non-fiction publication for authors who have a great impact on literary, social and academic fields. Despite of his recent death on 23rd January 2011 due to a rare neurological disease, the legacy and investment philosophy of Peter Cundill is kept alive by the firm he founded in 1975 and the numerous contributions made by him in the world of finance and academia. Like many value investors, Cundill’s style of investing can trace its roots back to Benjamin Graham; Cundill liked to buy $1 for $0.40. What’s more, Cundill liked to buy stocks that were generally ignored and rejected by the general public, giving his approach a contrarian style. Unlike Graham, who brought as many companies as he could, as long as each company met his strict criteria, Peter Cundill only considered companies with strong balance sheets and an upcoming catalyst that could unlock value for investors. It’s often the case that deep-value investments languish for years before acatalyst unlocks value. By investing only when a catalyst was upcoming, Cundill increased his risk of success. Peter usually scrutinized each company’s balance sheet to discover off balance sheet financing and assess the company’s true debt load.